Those who love their bubbly will know that the only fizzy wine that may call itself Champagne is produced in the Champagne region to the east of the French capital of Paris. Everything else is technically classified as sparkling wine. But there are many other regions across the globe that produce bubbles in the same way – including Spain, Italy and South Africa – and their méthodes traditionnelles not only compete with the best of them, but are increasingly becoming the connoisseur’s bubbly of choice. In 1992, the Champagne-style sparkling wines produced in the Western Cape became officially known as Méthode Cap Classique (MCC) wines. While local grape varieties may differ from those in the Champagne region, wines made in this style are most often white. Even though pink Champagne is growing in popularity worldwide, it mostly gets its colour from the addition of still red wine that is added just after disgorgement. But more on that later. 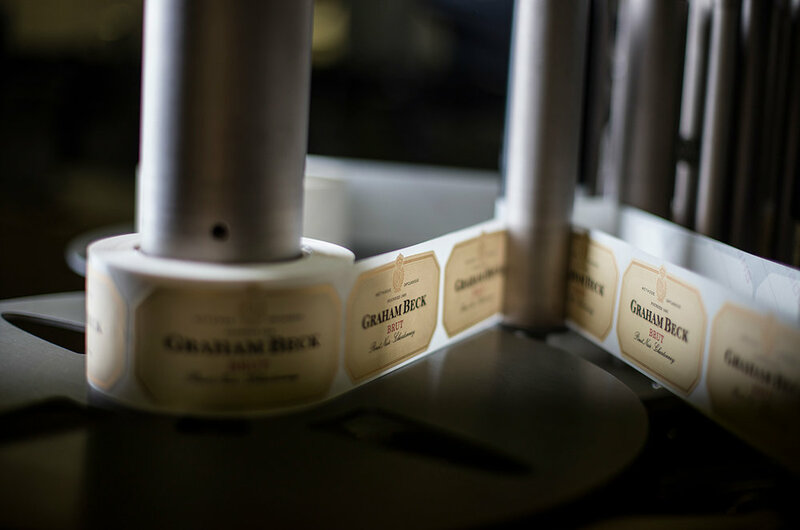 Internationally renowned for their consistency, continuity and quality, Graham Beck is considered one of South Africa’s leading producers of MCC. In fact, the winery’s Brut was the bubbly of choice at Nelson Mandela’s inauguration in 1994, as well Barack Obama’s on the night he was elected president of the United States in 2009. In short, by investigating Graham Beck’s meticulous Méthode Cap Classique process for their flagship Blanc de Blancs, we can find out everything we’ve always wanted to know about Méthode Cap Classique – but were afraid to ask – in 10 steps. Chardonnay is considered the noblest of all white grapes for its finesse and elegance, offset by a bright acidity. A great Chardonnay evokes taste descriptions such as “buttery lemon”, “nutty” and in some cases, “tropical fruit”. 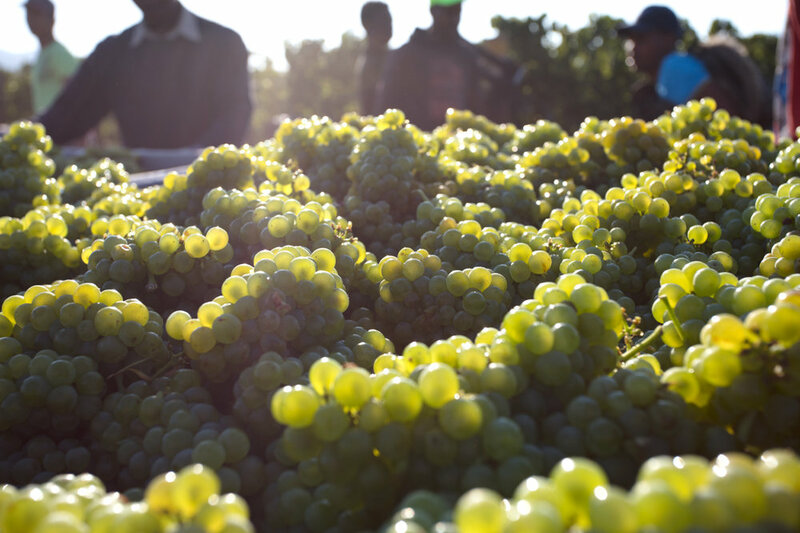 For a prestige MCC, like Blanc de Blancs, the grapes are hand selected, handpicked and only the cuvée juice (the first 450 litres/tonne) of 100% Chardonnay clones is used. Graham Beck also makes use of Pinot Noir grapes in the production of their MCC range. A French term denoting the overall environment in which a wine is produced, terroir looks at the climate, soil, vine characteristics and even the idiosyncracies of the winemaker. Madeba Farm in Robertson – with its limestone-rich soils and huge day-night temperature shifts – is where Graham Beck’s vineyards are located and is generally considered to be the leading MCC-producing region in South Africa. It can take up to three years for a newly-planted vine to bear fruit suitable for making wine, so choosing the exact right moment to harvest the grapes takes great skill and expertise. At Graham Beck, no harvesting occurs until both the viticulture team and the winemakers have walked through the vineyards and tasted the grapes, which are usually ripe for the picking around mid-January when the grapes’ sugar and acidity levels are deemed perfect. Considering the extreme daytime heat in midsummer Robertson, picking occurs in the early morning to ensure that very little fermentation occurs before the grapes reach the press. Whole grape bunches are transported to the winery and gently pressed to extract the juice. The grapes are pressed so gently that the pigments are not given an opportunity to escape the skin and tint the liquid. All méthode traditionnelle sparkling wines undergo a double fermentation process. Primary fermentation usually occurs in large, temperature controlled, stainless steel tanks, where specially selected yeast strains are added to encourage fermentation and to lend the wine its characteristic flavour. 50% of Graham Beck’s cuvée is fermented in pièce champenoise – French oak barrels that hold 205 litres each – and lend the winery’s Blanc de Blancs its characteristic element of creaminess. Blending, perhaps more so than any other step in the process, is like a wine’s fingerprint. At Graham Beck, it’s a team effort, and relies on each member’s sensory development and memory. It is one of the ultimate tests of a winemaker’s prowess, as he or she must predict what the wine will eventually become. Blending is an art form and can take up to 3 months to perfect after primary fermentation. Also known as tirage bottling, second fermentation occurs in the actual bottle that will eventually end up on shelf. This is where the magic happens. By adding a special mixture of base wine blend, sugar and yeast – and sealing the bottle with a temporary crown cap – the yeast converts the sugar to alcohol and the wine develops its effervescence over a period of 6 to 12 weeks. The quality of the bubbles is a clear indication of a sparkling wine’s pedigree – the finer and more delicate the bubble (or mousse), the better the overall quality of the wine. Graham Beck’s Blanc de Blancs can spend up to 48 months on the lees (yeast cells) to maximise the quality. Every step of Graham Beck’s winemaking process is underscored by their commitment to continuity and consistency, and so – along with using old world influences like pièces champenoise – they have not shied away from embracing cutting edge technology as well. By using gyropalettes – hydraulic-powered crates that can tilt 500 bottles at a time from a horizontal to a vertical position – Graham Beck achieves in one week what would otherwise have taken six, improving consistency without compromising on quality. The bottles are transferred to the gyropalettes once they have been in contact with the lees for the optimum amount of time. The upside-down bottles are placed in a neck-freezing bath that freezes the dead yeast cells and a small portion of the wine above the yeast. When removing the crown cap, the pressure in the bottle shoots the ice plug out. Finally, a dosage (a special mix of wine and sugar) is added to finish the wine, at which point it is corked and wired. For months before this happens, however, the team experiments with different dosages to produce the most harmonious mix. The wine used to top up the bottle is usually the same as that in the bottle. After all the excitement, the wine is left to rest for a couple of weeks before the bottles are labelled. Graham Beck consumers are often discerning winos, which is why all their MCCs display the date of disgorgement on the back label. 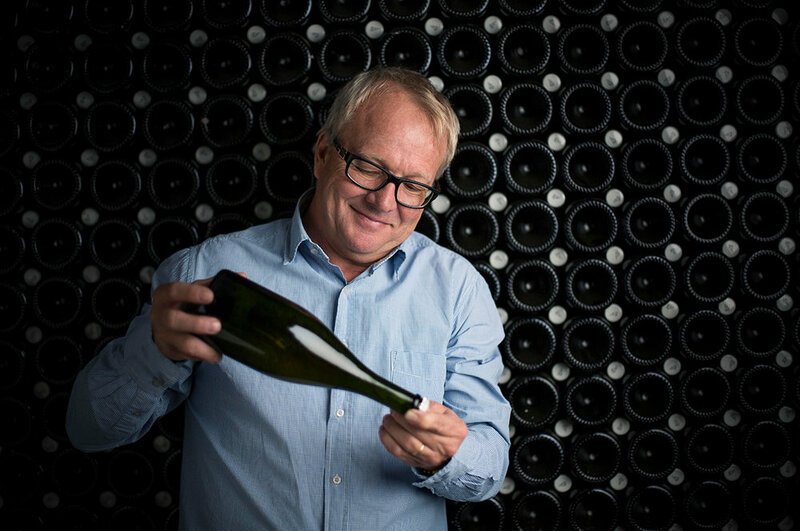 In 2016, Graham Beck made the decision to produce MCC wines exclusively, refining their focus, and cementing their reputation of producing leading, world-class sparkling wine in the Champagne style. In the début issue of JAN the Journal, Jan Hendrik and his sommelier at Restaurant JAN chose Graham Beck’s Blanc de Blancs as the perfect accompaniment to his iconic Prawn Cannelloni with Naartjie Buerre Blanc, a version of which was also featured on his hit TV show, JAN.